The ballots are in and Massachusetts, California, Maine, and Nevada all voted in favor of recreational marijuana. Several other states made provisions for or expanded current provisions for medical marijuana. 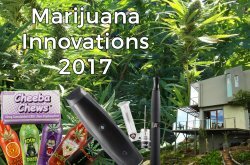 With pot on its way to being legalized in all 50 states, there is the hope that marijuana innovations in the industry keep on coming. From new edibles, drinkables, and topical solutions to innovative vaporizers and trimmers, there’s always something new for the casual or the regular smoker, or for the hemp product entrepreneur. If you’re fond of taffy, then this a product you can enjoy. 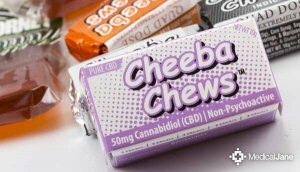 Packing a 175mg dose of the green in every chew, Cheba Chews come on strong and fast. The taste is a bit grassy, due mostly to the high dose. If gummy bears are more your thing, then you’re covered there, too. With 200mg of THC per gummy, one gummy should have you buzzing for a good while. If you’d rather drink your cannabis, well, you can do that, too. There’s also a website that ranks the best tasting marijuana drinks out there. Want your THC buzz but still need to get up and go to work? Well, there’s now marijuana-infused coffee. Unfortunately, they’re currently only available in Washington State. It’s also a fairly expensive cup of coffee, at $10 per pod. Like soda? Canna Cola is probably the best known in the marijuana industry offering drinks. With soda named things like Doc Weed and Orange Kush, you can see why. Canna Cola is sold in states that offer medical marijuana. Marijuana Vaporizers have come a long way since the desktop models that offered little in the way of temperature control. Now, there are portable vaporizers that act as an all-in-one, allowing you to burn concentrates, e-liquid, and dry herb. Recently an abrupt popularity is detected among electronic cigarettes. Those are considered an alternative to regular cigarettes with less harmful effects and a higher cost effectiveness. Vaporization industry shows a lot of perspective and has many opportunities to evolve in the future. Okay, so it’s not an actual airline… yet. But the world’s first hemp-based and hemp-fueled airplane is underway. Canadian-based Hempearth Group, Ltd. It will consist of no less than 75% hemp, which helps to reduce the plane’s carbon footprint. Unfortunately, no, you won’t be able to smoke it. It hopes to take flight in 2017. Want a house that’s eco-friendly, inexpensive, and will help you keep energy expenses low? Try a hemp adobe home. 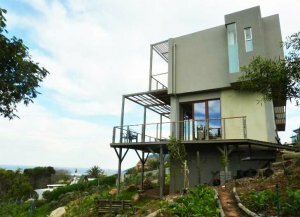 This home can be erected in a manner of days instead of months, is sound-insulating, and heats and cools through convection. Entrepreneur Kevin Hodge is looking to change the way people think of and build homes with this idea. If you cultivate, especially on a larger scale, hand-trimming your buds can be a pain in the you-know-what. Enter Green Broz, who hope to help you with that problem. They have developed a dry-marijuana trimmer to get your bud trimmed and trimmed perfectly. The size of an old desktop computer, the trimmer is a top-loader style with slowly rotating blades and gently rolling to ensure the quality of the cut. Capable of handling up to ¾ a pound (more for commercial models), it can finish a load in 10-15 minutes, depending on the flower. Undoubtedly, more and more states will continue to legalize recreational cannabis consumption and make provisions for medical consumption of marijuana. As it becomes more legal and acceptable, the industry will continue to produce innovations. The future of the marijuana industry is looking bright. Here’s to the innovators and entrepreneurs who have come before and will come in the future.